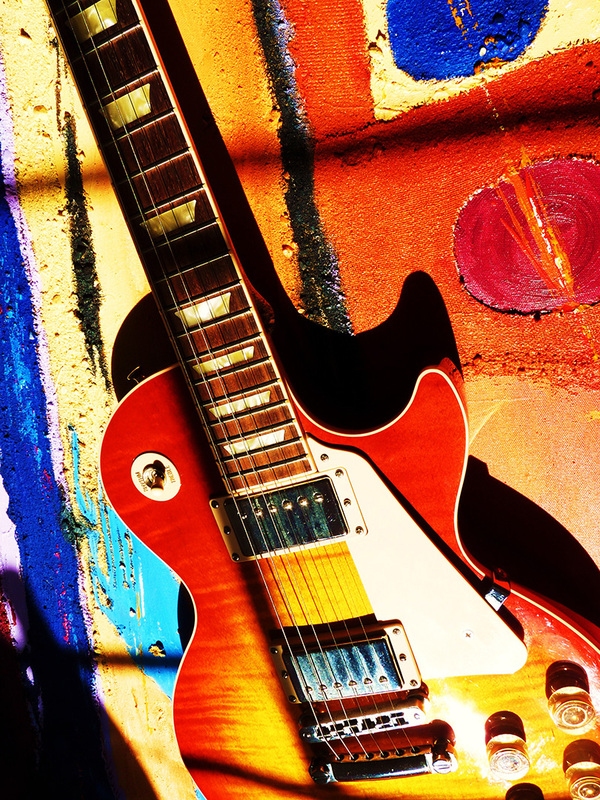 I’ve been playing the guitar for years, so music has always been a massive passion. 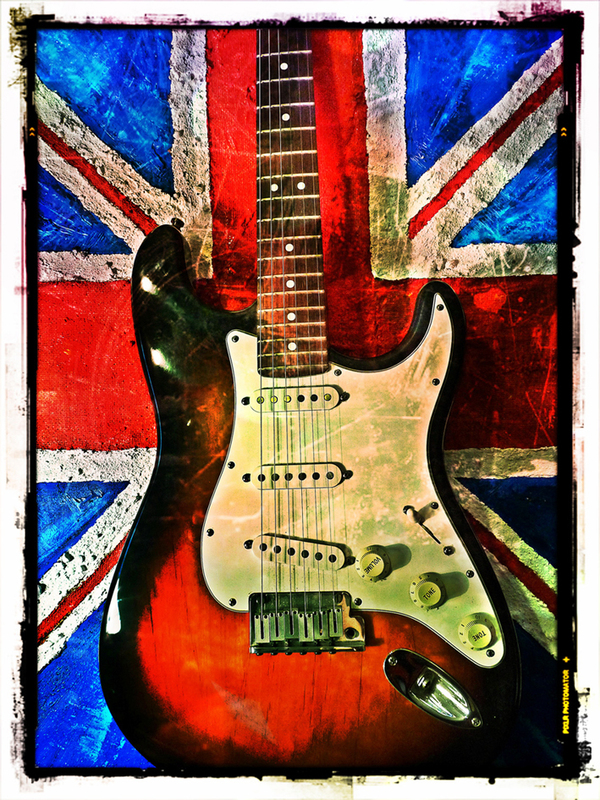 Great inspiration and influences from Hendrix and Zeppelin to The Stone Roses and Oasis. 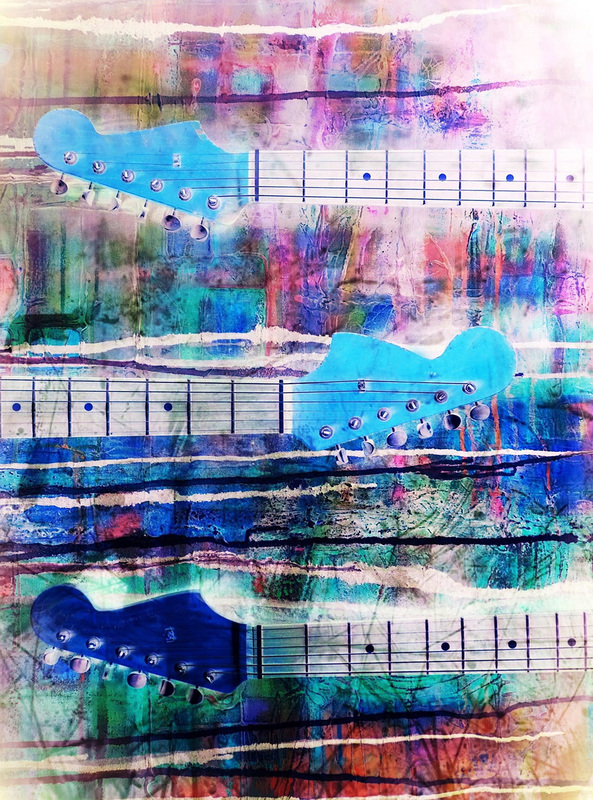 So all of this seemed like a good and enjoyable theme for the GUITART that I produce today. 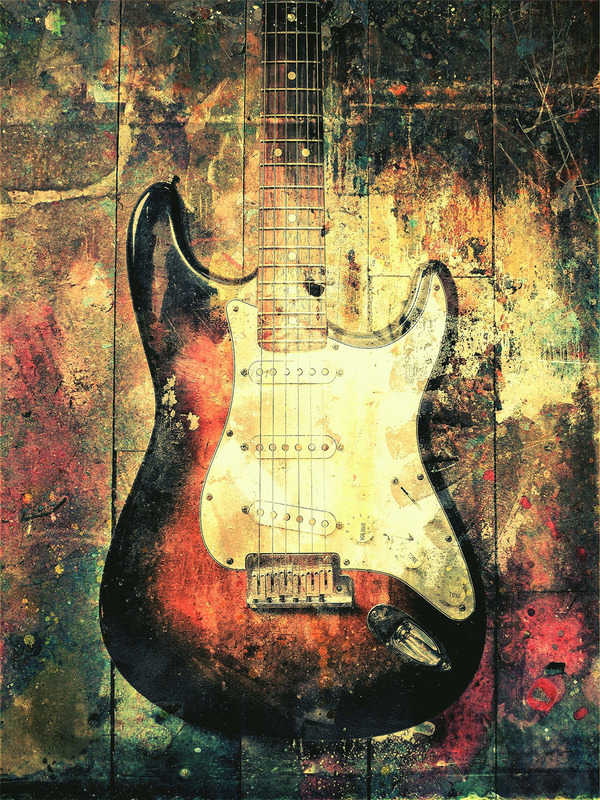 In a list of design icons of the second half of the 20th century the electric guitar would without doubt be close to the top. 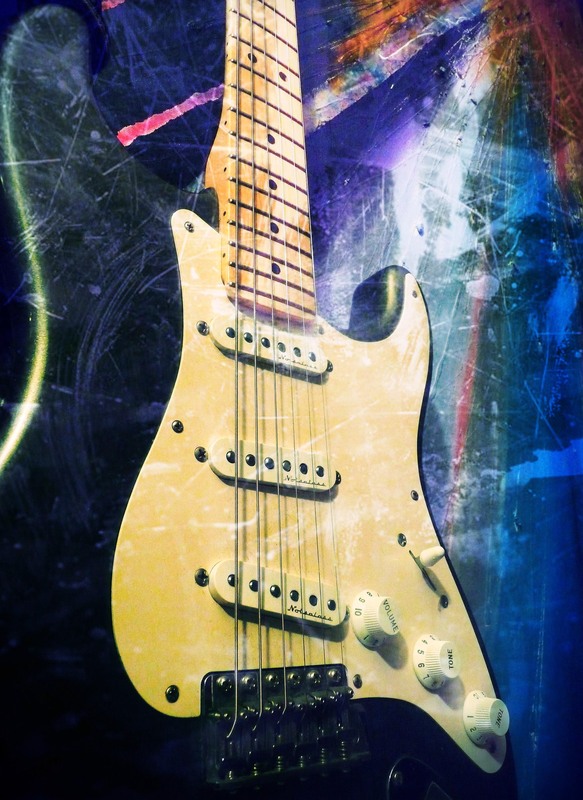 And the people that love electric guitars are not just the people that play them. 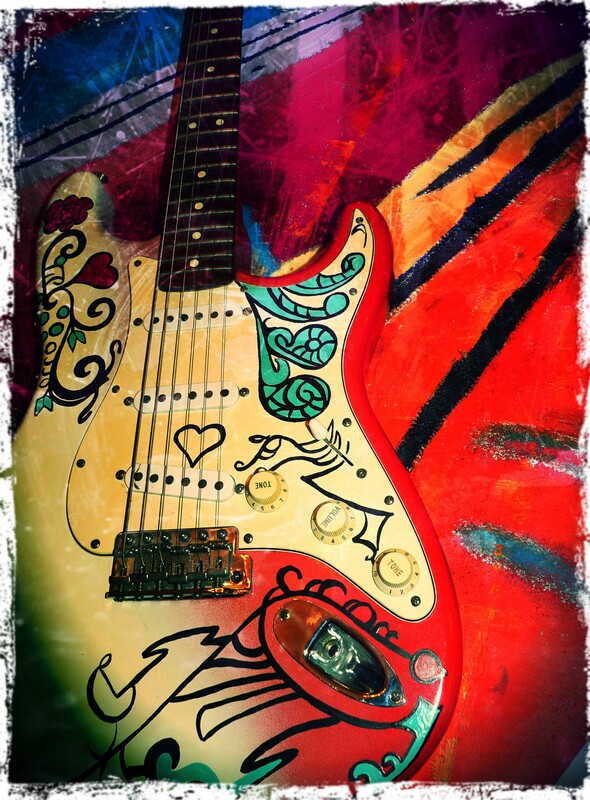 Electric guitars are the keys to rich rock memories and big music moments in people’s lives. 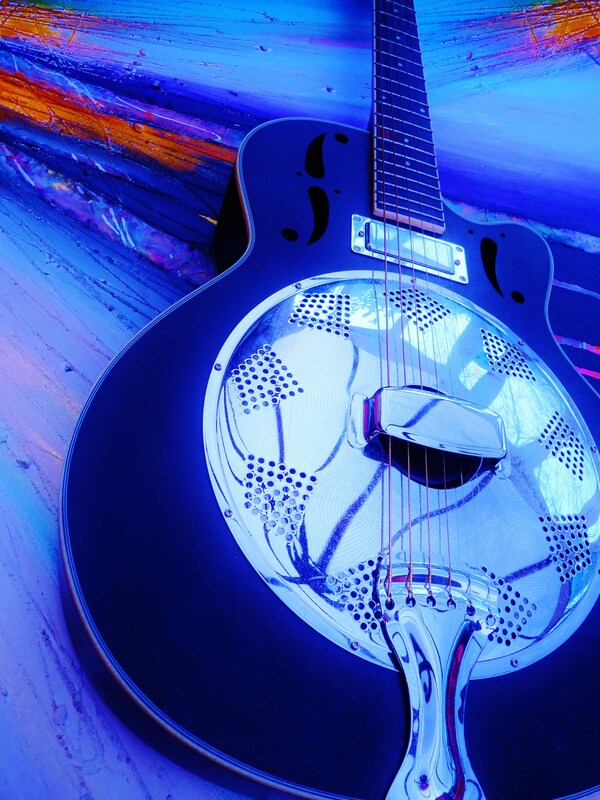 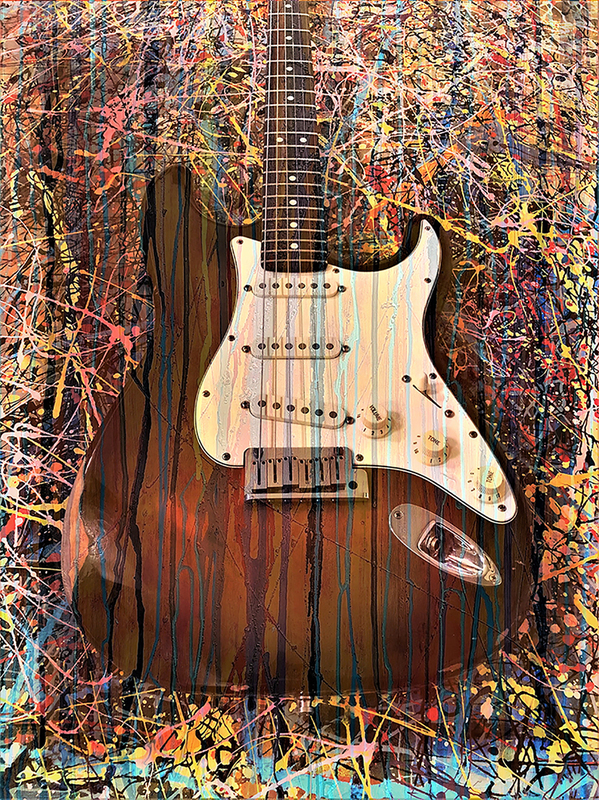 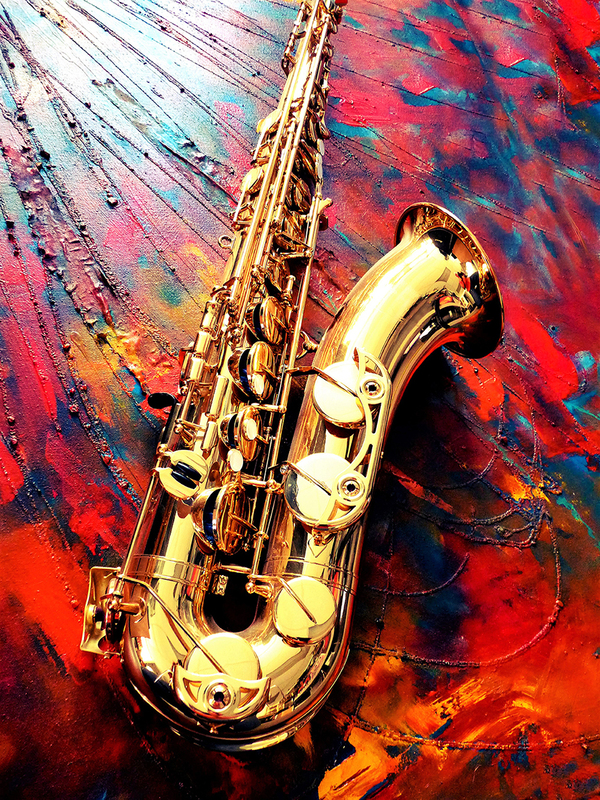 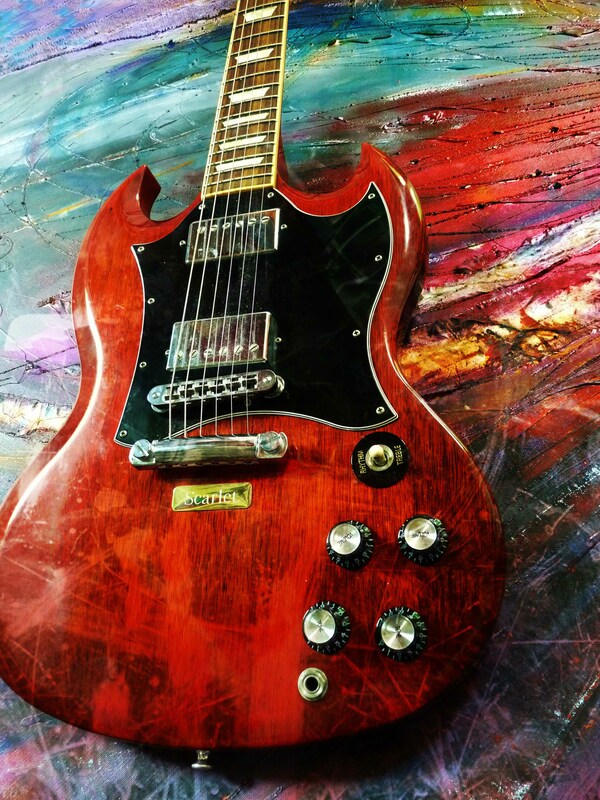 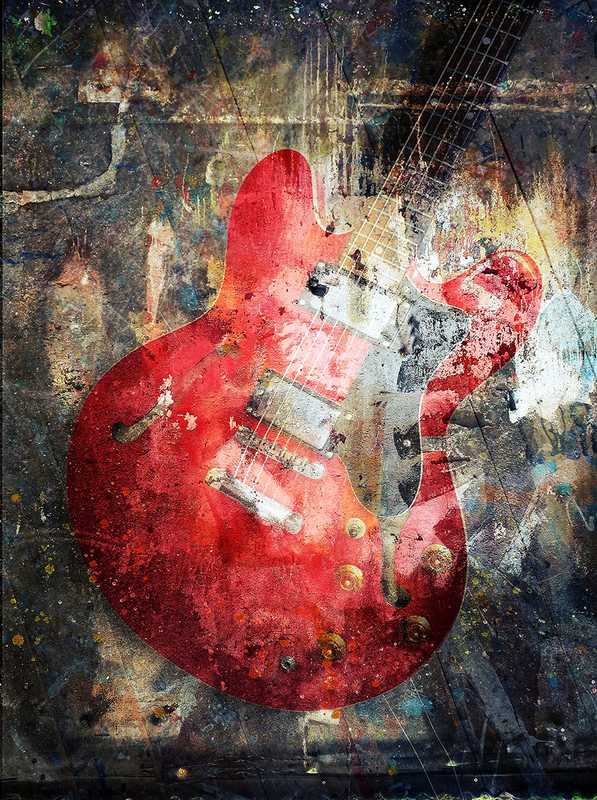 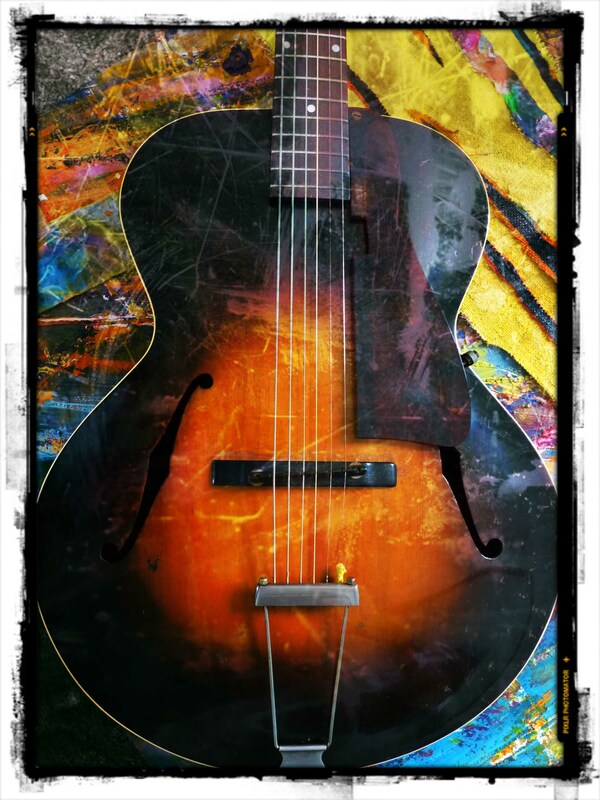 GUITART plugs in to this deep seated affection and combines the beauty, colour and style of guitars with original paintings to create unique art that people want on their walls. 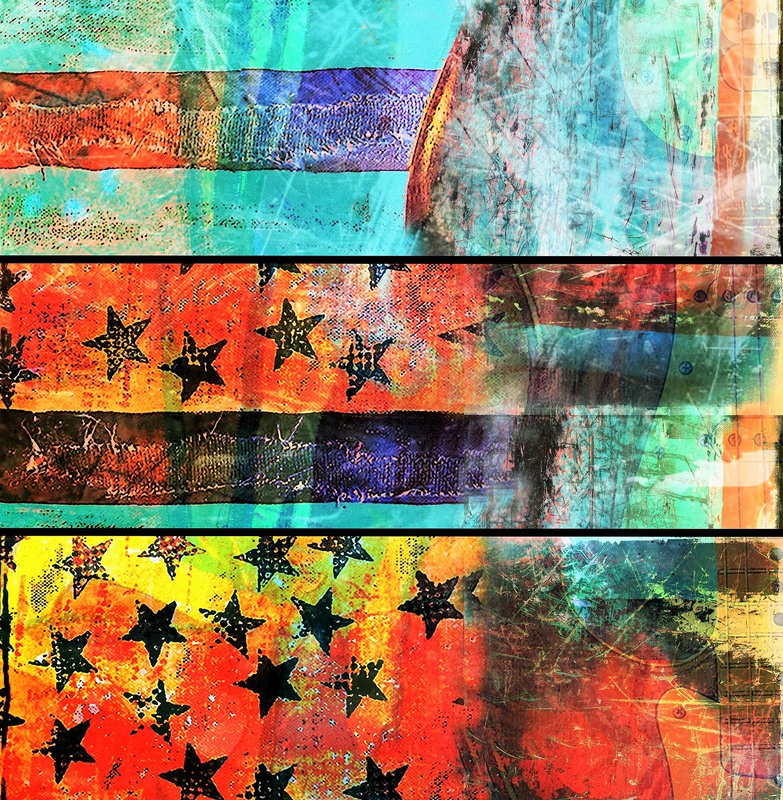 The majority of all the work you see is based around original paintings in the first instance. 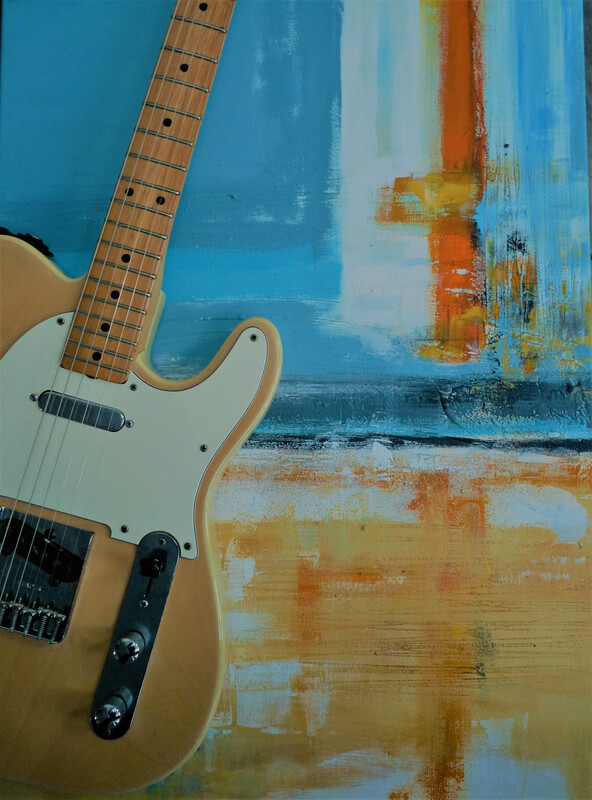 Taking inspiration from all sorts of influences, materials and, visual items I have come across over the years have formed the majority of the abstract backgrounds for my work.The large canvasses have a mixture of Hessian, Gauze, Glues, Cotton, Sharp sand and Gravel. 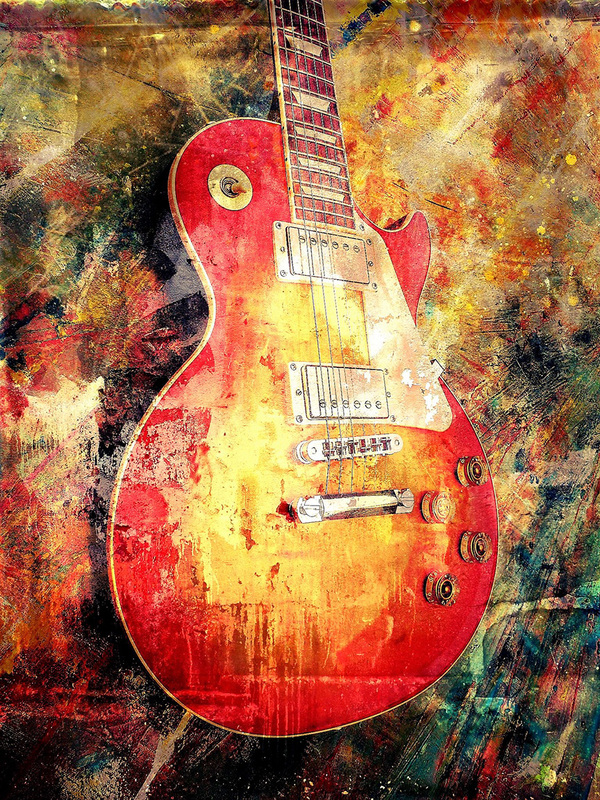 With the main print medium being acrylics, with occasional use of emulsions, glazes and oil pastel work. 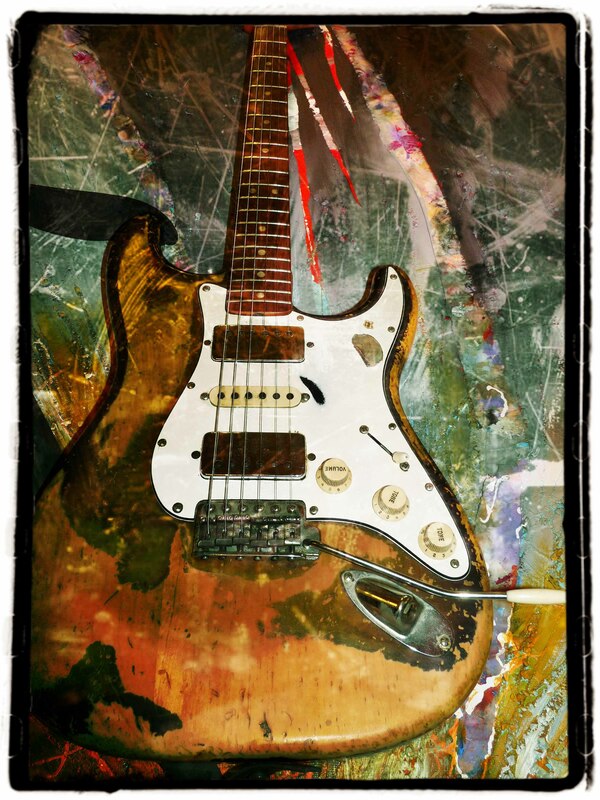 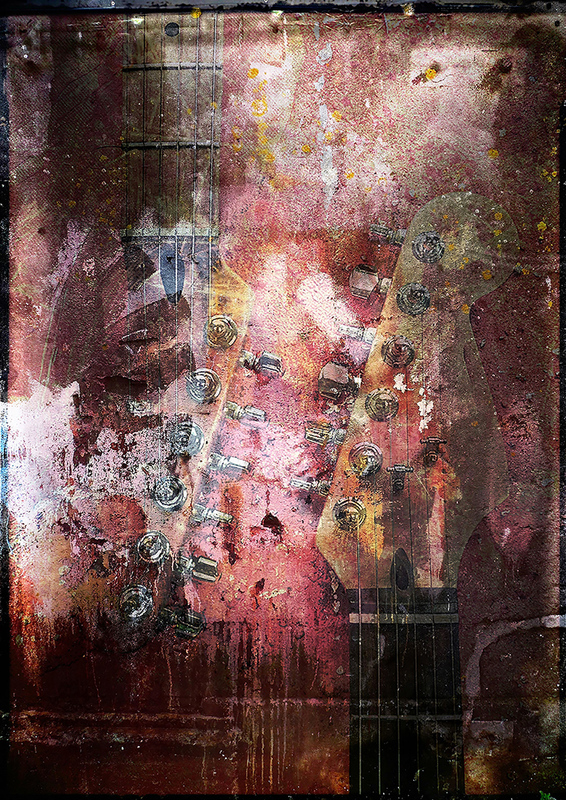 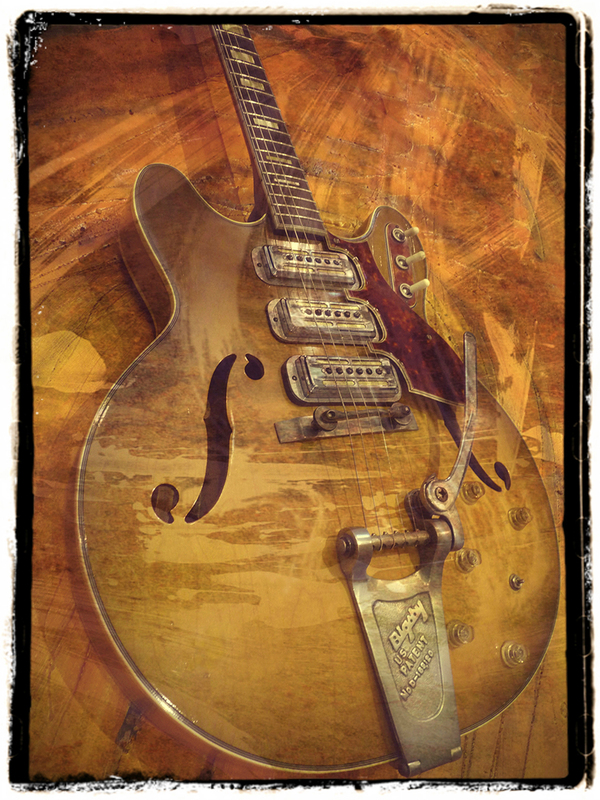 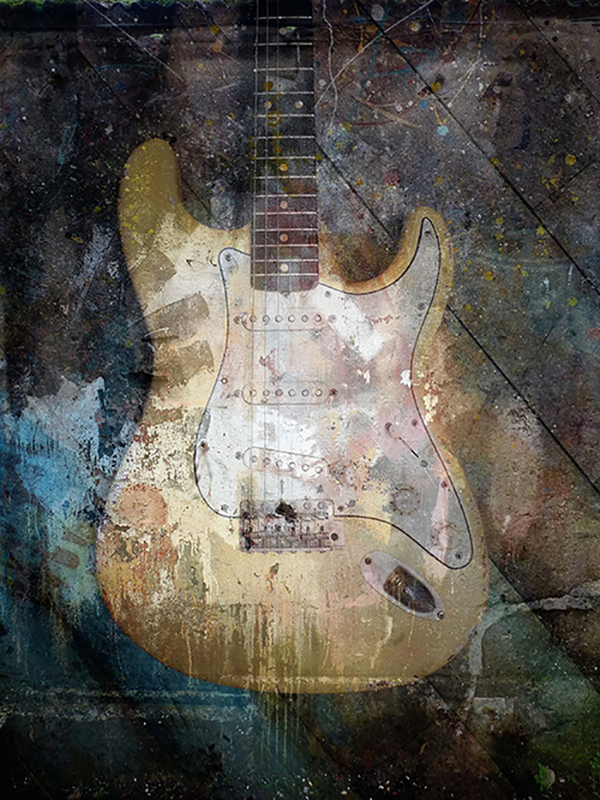 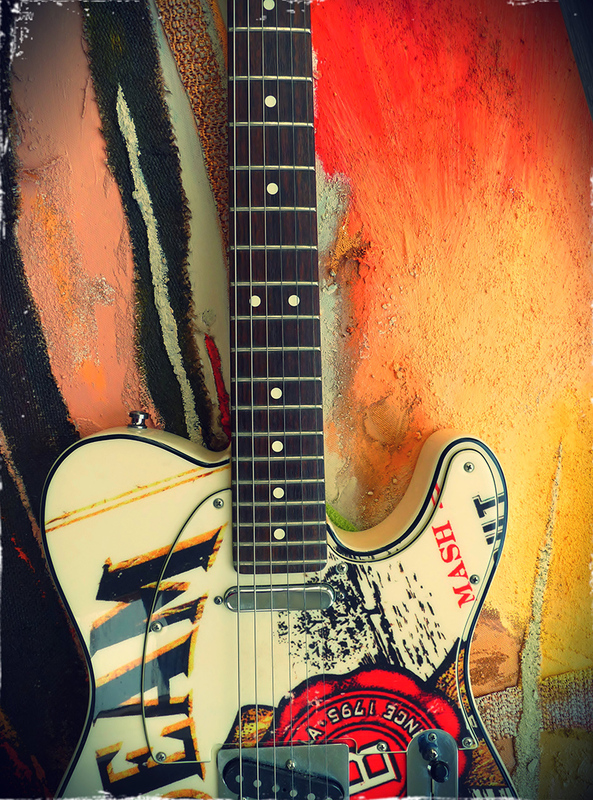 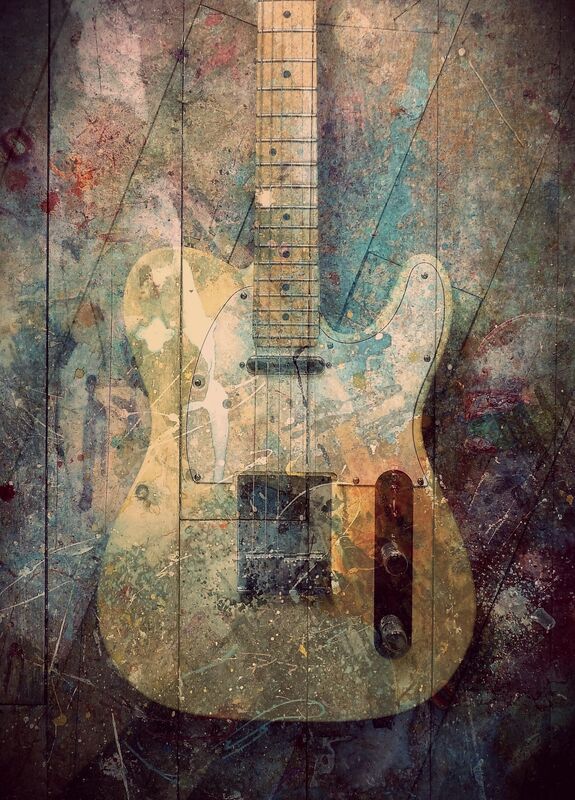 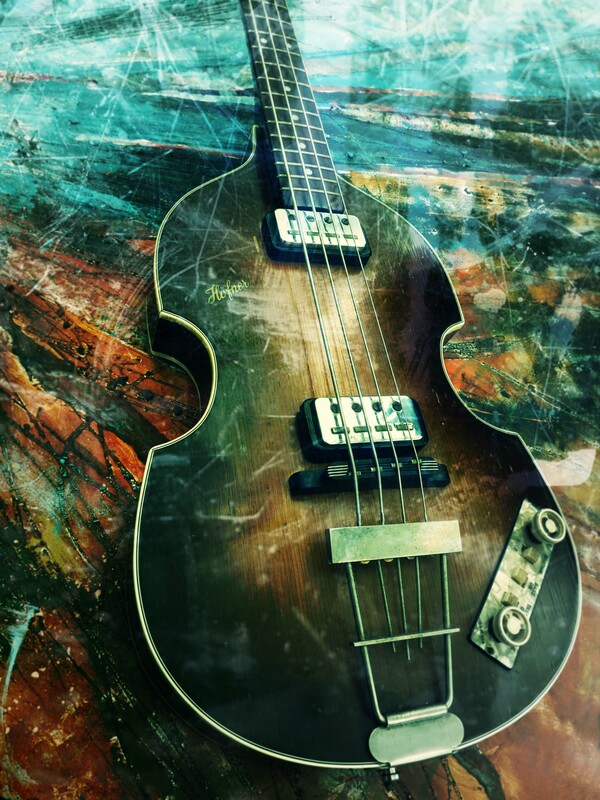 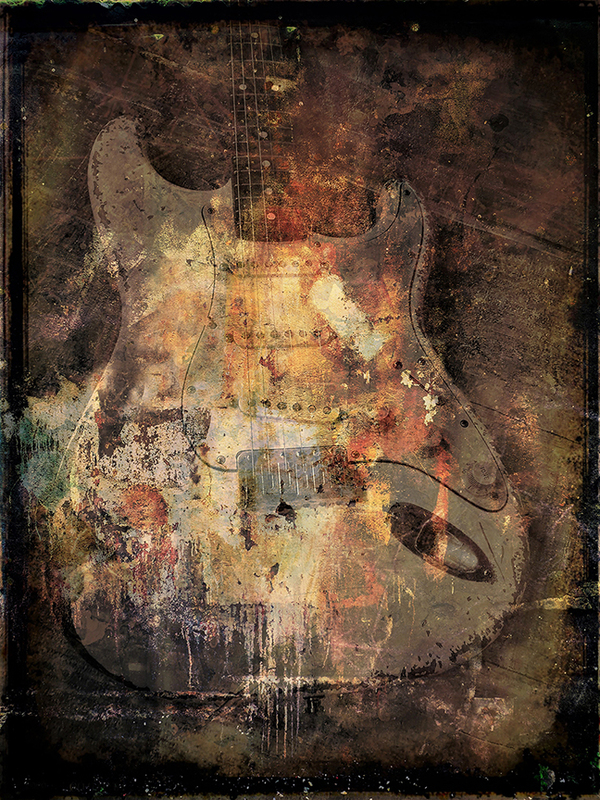 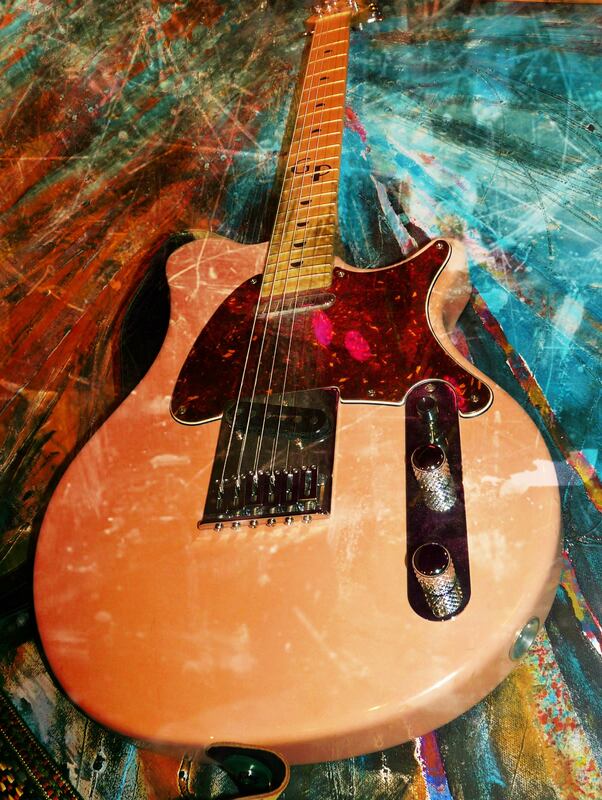 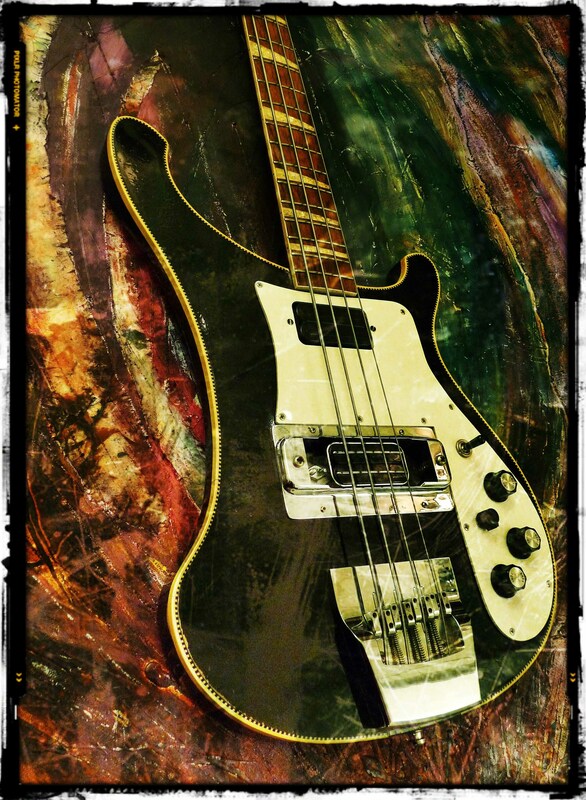 The finished canvasses are then placed with various guitars in situ, photographed and treated in a range of photo effects. 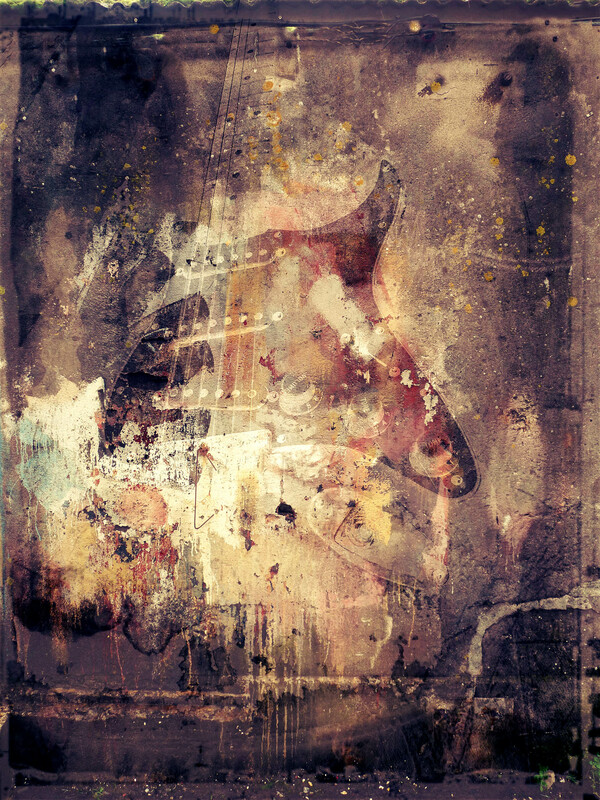 The images are then printed onto 400gsm stock.